Purple Haze Lavender Farm in Sequim, Washington grows and sells many lavender varieties, including English, French Lavendins and Spanish types. 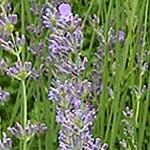 Angustifolias are the traditional English garden lavender varieties. They have narrow leaves, shorter stems with flower heads that are barrel shaped as opposed to spiky. Their fragrance is sweeter than their hybrid cousins the Lavandins, and because of this, their oil is coveted for aromatherapy and perfume. They bloom earlier in the year than the lavandins. In the winter months, the Angustifolias can often look dead because of the smallness of the leaves. Their dried blossoms are used in cooking, crafting and cosmetics. The Angustifolias produce seeds that are viable, and young plants will often appear below the parent plant. 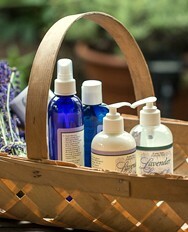 Click on the images below to view a larger photo and to read a description of each lavender variety. Loddon Blue: 18-24″ English Lavender, 8″ stems; semi-dwarf, compact, deep blue flowers, early-summer blooms, striking in floral displays, small size makes this an excellent choice for borders, pots and small gardens. 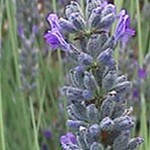 Royal Velvet: 24-36″ English Lavender, 12-15″ stems; dark, saturated color, velvety buds, mild scent, early-summer blooms, excellent dried for crafting and display. 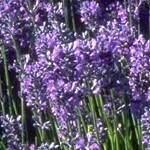 We use Royal Velvet in our lavender sugar, our lemonade and in dessert dishes that need both color and flavor. 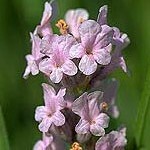 Melissa: 18-24″ English Lavender, 12″stems, pink flowers with a delicate scent, blooms early summer, a wonderful contrast to garden landscapes and bouquets, a fragrant addition to sachets. This is the number one choice of the cooks at Purple Haze for savory recipes with meats, salad dressings and marinates. Sachet: 18-24″ English Lavender, 12″ stems, sky-blue flowers, sweet fragrance, early summer blooms, outstanding for culinary uses as well as sachets. Aptly named. Sachet is our number one choice for putting in our dryer bags, eye pillows and sachets. 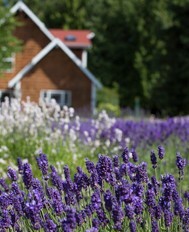 Sharon Roberts: 20-24″, English lavender, long flower stems, dark purple blossoms that has a reputation for blooming both profusely and twice each summer. 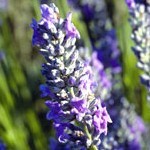 The Intermediates are a hybrid of Angustifolia and Spike lavender varieties. The hybrid vigor of these plants makes them hardy but sterile. Called Lavandins, this group typically has larger leaves, longer stems and larger flower heads that are pointed at the top instead of barrel shaped. 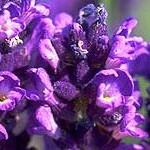 They have a more camphorous quality to their fragrance, and because of this are typically used in soaps and detergents. The oil yield of the lavandins is much greater than the Angustifolias varieties, so it has become a “work horse” in the fields of France. Not only are these plants hardy and disease resistant, they have a more attractive look in the winter months. Because of their sterility, the seeds in these plants are infertile, and the preferred method of reproduction is with cuttings. Typically the Lavandin sachet is strong smelling, making it excellent for riding clothes of moth or in massage oil for sore muscles, but not used for cooking. The strong color of many of the cultivars makes their sachet and dried flowers excellent for crafting. Click on the images below to view a larger picture, and to learn more about each variety. Dutch Mill: 36-48″ Intermediate Lavandin, 24-30″ long stems, medium blue flowers, excellent oil profile, strong fragrance, late summer blooms. This plant is my favorite lavender for fresh bouquets – the flower heads are large and free forming, making them very striking in vases. Fred Boutin: 36-40″ Intermediate Lavandin, 18-20″ stems; light blue flowers, soft green foliage throughout winter, late summer blooms, an outstanding landscape plant. 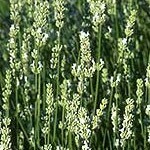 This plant has the best winter foliage of any on the farm, and it blooms late to extend the flowering season. 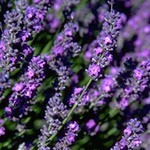 Grosso: 24-36″ Intermediate Lavandin, 16-20″ stems; perfect lavender for the Northwest, hardy, resists disease, medium purple flowers, strong, clean fragrance, mid-summer blooms, great for drying & crafting. If you have a brown thumb, this is the plant for you. It is the most frequently planted Lavandin in the Sequim Dungeness Valley because it nearly has it all: dark color, strong fragrance, and disease resistance. Hidcote Giant: 36-40″ Intermediate Lavandin, 20-24″ stems; strong fragrance, fat blossoms, dark purple flowers, blooms mid-summer, outstanding for dried arrangements. This is my personal favorite for dried bouquets. The flower is fat and dark colored, the stems long and strong, and it holds its color. 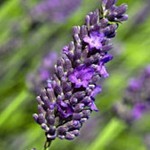 Provence: 30-36″ Intermediate Lavandin, 16-20″ stems; very fragrant violet flowers, blooms mid-summer bloom, our favorite for sachets and culinary uses. This light colored, sweet smelling flower is very fragrant in fresh bouquets. The fragrant blossoms leave the stalk easily, and because of that make great sachet. It is the only Lavandin that we cook with at Purple Haze. Seal: 48-60″ Intermediate Lavandin, 18-24″stems, very large plant, profuse bloomer, medium blue flowers, strong fragrance, late summer bloom, one plant will produce thousands of blossoms at maturity. This BIG plant would be great for a privacy hedge – imagine a plant you could stand behind and be hidden! The large abundance of flower heads makes this a must have plant if you are making sachet. White Spike: 36-40″ Intermediate Lavandin, 16-20″ stems; white blossoms, strongly scented, blooms mid-summer, culinary uses, excellent contrast in landscapes. The color white is a striking contrast in both fresh bouquets and dried arrangements. Here we have grouped other varieties grown at Purple Haze. Click on the images below to view larger pictures, and to learn more about each variety. 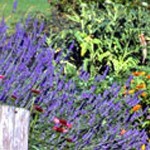 Dark Eyes: 25″ Spanish lavender with grey-green foliage, the flower heads and bracts are a dark purple-red color. 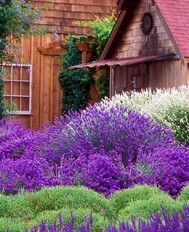 The deep color of this plant makes it a beautiful addition to the landscape and explains why this group of lavender is often called the “Butterfly Lavenders”. 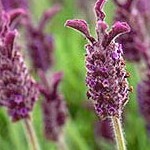 As with other Spanish lavender it has a pinecone shaped head that has a eucalyptus fragrance. It will bloom continuously from May to October, and retain its cheery appearance if the spent blossoms are removed. Silver Frost: 24-36″, a hybrid cross of Lavendula Angustifolia and Lavendula Lanata , 12-18″ stems, beautiful silver felted foliage, and fat, dark purple flowers. The white woolly color of the leaves makes Silver Frost a beautiful contrast in the garden. The stems have a softness and almost seem to bend under the weight of the blossoms. 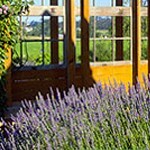 It is considered one of the best landscaping lavenders. 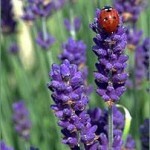 Otto Quast: 25″ Spanish lavender, green-grey foliage, flowers are red-purple with the showy bract a bright pink. 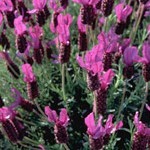 The bright pink “ears” on this Spanish lavender makes it a cherry addition to the garden. This plant will bloom continuously from May to October if it is dead-headed. 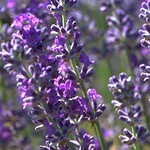 As with all Spanish lavender, it has a eucalyptus fragrance. it requires aggressive pruning to keep it from sprawling.